"New York State has taken a small step towards the adoption of this common sense measure. 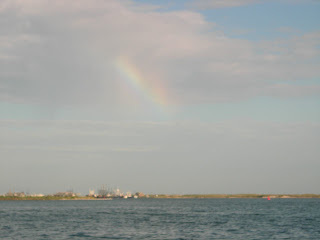 Weekly catch limits help the bottom line of the fisherman and the environment without any adverse impact on fisheries. Aggregate weekly catch limits result in reduced fuel costs for the fisherman and the conservation of fuel in general. This measure is a good start but must be expanded. After the trial period is over, I will seek legislation to make the program permanent and to expand it to other species." Set up three plates. One with beaten eggs. The second with flour and herbs. And, the third one is a clean plate. Dip fluke into the egg and cover fluke. Allow excess egg to drip off of the fish. Place egged fluke into the flour and herbs mix and cover the fish with flour. Move to a clean plate. Repeat. In a large skillet, melt one tablespoon of butter over medium high heat. 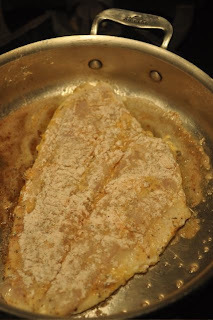 When sizzling, add the fish and cook until the edges begin to turn white. Using a spatula pick up the fish and turn over. Before placing fish back on the pan, melt another tablespoon of butter. Cook until just white and flaky. Do not over cook. Repeat. When all of the fish is cooked, return to pan to reheat before serving.